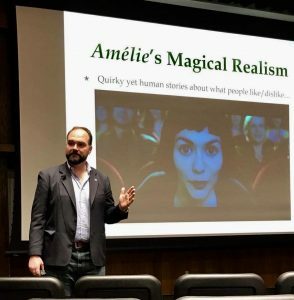 To supplement the curriculum of BYU humanities classes by showing contemporary and classic films from world cinema, cinematic adaptations of literature, and important works from the history of the moving image. 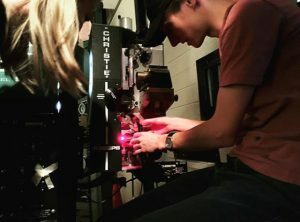 International Cinema at BYU has a long and lively history that began in the 1950s and 60s, when once or twice a semester the French, German and Spanish programs would combine resources to screen a black and white film in one of their respective languages. The small audience for such shows was composed almost entirely of appreciative foreign language students and a few interested professors from other disciplines. In 1968 Joseph Baker of the newly-formed German Department initiated a fledgling film program the International Film Festival. Dr. Baker also instituted a weekly lecture series to provide an introduction to what became a weekly film series. Regular weekly screening times were established, and international films became a part of the BYU experience. In 1975 Donald Marshall, a professor in the Department of Humanities with a passion for film, agreed to direct the program that by then was known as BYU International Cinema. Under his aggressive screening impetus, crowds grew large enough to justify a newer, larger venue and even more screening times, including matinees. From the mid-80s through the early 90s International Cinema offered screenings six days a week. 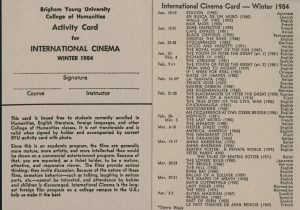 Still primarily meant to serve as an extra-curricular resource for BYU’s foreign language classes, International Cinema issued to everyone enrolled in such a course an IC semester film card, which allowed free entry to the films (the regular charge was fifty cents). Don Marshall retired from BYU in the spring of 2000. In his wake, Travis Anderson, a professor in the Philosophy Department with expertise in film history and theory, took the IC helm. During his tenure IC entered the electronic age, sending out flyers by email and making posters and calendars digitally. Some of the most popular features during Travis’ era came from Islamic countries, particularly Iran, where contemporary Muslim film makers were producing record numbers of critically acclaimed films. 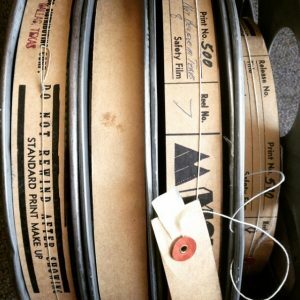 Travis continued to frequent film libraries and travel the world in search of the best that foreign film had to offer–current releases and old classics. After six years of guiding IC, maintaining the artistic quality that has become a trademark of IC, Travis stepped down. Since 2006 co-directors manage IC, serving in that capacity for three years each. Dennis Packard, Scott Miller, Greg Stallings, Dennis Perry, Steve Riep, Dennis Cutchins, Matt Ancell and Daryl Lee have each contributed their expertise to IC. From 2006 until her death in 2014, Karmen Smith played a central role in ensuring the continuity and quality of programming and established many of the procedures and principles that continue to guide IC. Today Christopher (Chip) Oscarson and Marc Yamada direct the program. Since 2014, Marie-Laure Oscarson has been the assistant director.Today IC offers an average of 82 films every year and about 164 screenings each semester. Come to International Cinema and discover film as art, experience new cultures and expand your horizons!